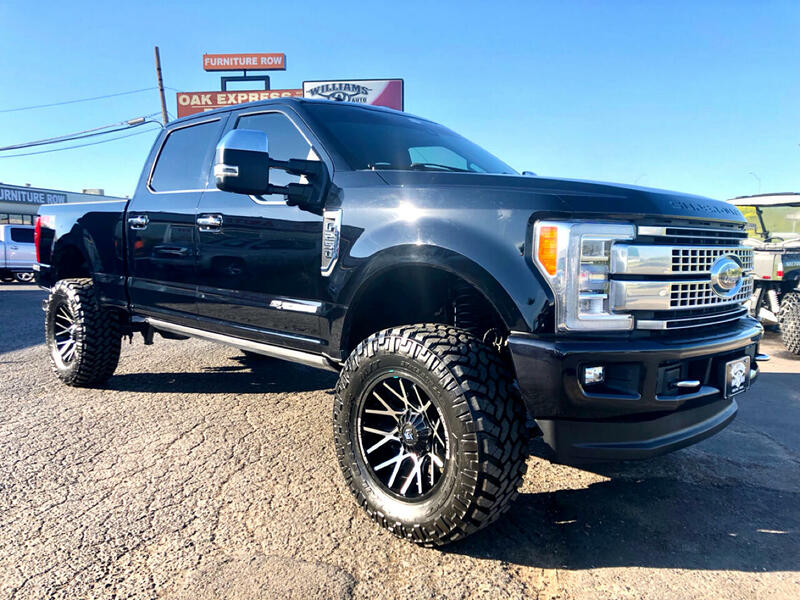 Totally Loaded 2017 Ford F250 SuperCrew Platinum FX4 6.7L Powerstroke Turbo Diesel. 4" BDS Suspension Lift, Dropstar Wheels, and 37" Tires. Ultimate Package, Panoramic Sunroof, Navigation, Tow Technology, Adaptive Cruise, Lane Keeping System, Heated and Cooled Leather seats, Auxiliary Switches, Power Boards, Bedliner, Factory Hitch Prep Package, Tailgate Step, and a Lot More!